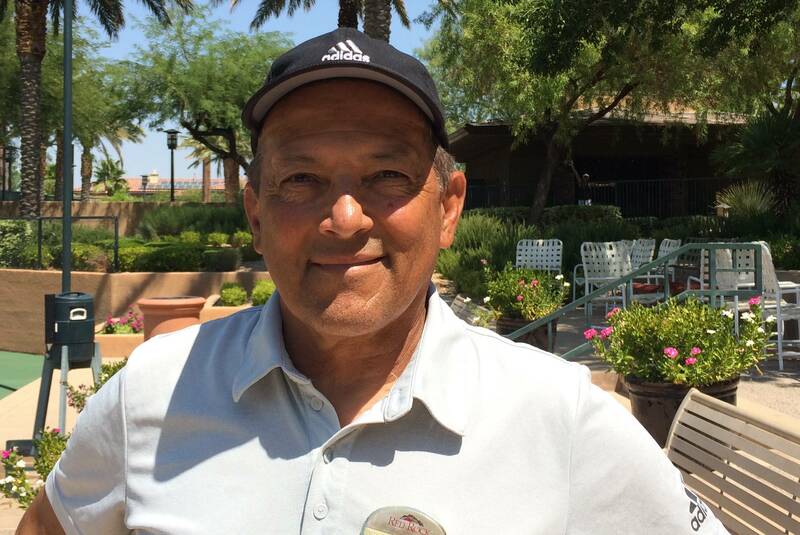 While growing up Adrin worked with the likes of George MacCall (U.S. Davis Cup Captain) and Pancho Gonzales (Former World #1, U.S. Open Champion) on the Vegas Strip. Later as an accomplished junior he worked extensively with Pat Dupre (Stanford All American, Wimbledon Semi-Finalist) along with attending Rick Macci and Nick Bolletierri Tennis Academy. Adrin received a scholarship to UNLV and played briefly on the tennis team after signing a record deal at 19 years old to pursue a music career. Adrin rekindled his passion for tennis after a few years and began competing again and decided to turn pro. He credits ATP Tour coach Sam Aparicio his long time coach for helping him develop into a professional tennis player. In the summer of 2005 Adrin moved to Spain and was accepted by the Federacion Real de Madrid to pursue a professional tennis career. While in Spain Adrin trained with world class Spanish tennis coaches including Feliciano Lopez Sr. as well as Francisco “Pato” Clavet. During that summer he was a hitting/training partner to Nicholas Massu (2005 Olympic Gold Medalist Singles and Doubles) along with other highly world ranked tennis players. After spending one of the most exciting and productive training summers of his life Adrin was sidelined with a career ending ACL knee injury. After almost 2 years of physical therapy Adrin decided to pursue a full time coaching career and has worked with players of all levels including world ranked professionals and Grand Slam semi finalists. Adrin occasionally plays Pro Ams and Prize money invitationals but has focused on sharing his world class experience with everyone he encounters on a tennis court. Adrin is an honored member of the United States Professional Tennis Association and is on the USPTA Nevada Board of Directors. He is also a certified professional 1 through the organization which is in the top 10 percentile of all members. In 2013 Adrin received the USPTA Star Award for Intermountain Division. The award reflects outstanding hard work with the community and for being a positive ambassador of the game. To provide an unexpected level of service and world class coaching. Fluid.Lucid.Tennis. Creating “Winning” players. F.L.O.W. Champions are created privately. Even the champions that came out of academies weren’t with the masses. They were on the court privately with individual coaches not large groups. Although occasionally we provide large clinics and camps to supplement another type of experience we focus on the individual attention to players and the detail that is needed to create big results. To ultimately provide a world class experience. Customizing a winning game based on your strengths and weaknesses. Not from a hand book or a manual. Tennis has many winning styles and components. Adrin and his associates bring a level of unmatched comparison. We pride ourselves on results. If you have the work ethic and determination to improve your overall game. HT will take you to the next level. Sam has the experience of coaching both ends of the spectrum and has the knowledge and inspiration to help juniors and adults to transition to the next level. As a retired touring coach he is excited to be a part of our program and to share his knowledge and experience of the game for all ages and levels. Sam has coached world class tennis juniors and ATP tour players. He has coached 2 former world #1 ranked juniors and helped players reach top 20 on the ATP tour. Dr. Jon S. Petrick, D.C., founder of Integrated Pain Relief Centers, is a licensed Chiropractic Physician and fully credentialed in Selective Functional Movement Assessment and Functional Movement Screening, OTZ-tension adjustments and Active Release Techniques® (ART). Dr. Petrick treats hundreds of athletes from around the world in almost every sport imaginable. His patients include players from the NFL, NHL, MLB, NBA, PGA, UFC, World Cup, IRONMAN triathlons in Kona, Hawaii, and members of the U.S. Olympic BMX team. For over 25 years Leo Gray has worked with student athletes and adults assisting them in the areas of health and fitness as well as speed and explosiveness. Leo played for UNLV and was a member of the 1980 Superbowl Championship Team Oakland Raiders. Many of the athletes have won State Championships and have received college scholarships. Leo has trained hundreds of athletes increasing their speed and explosiveness.